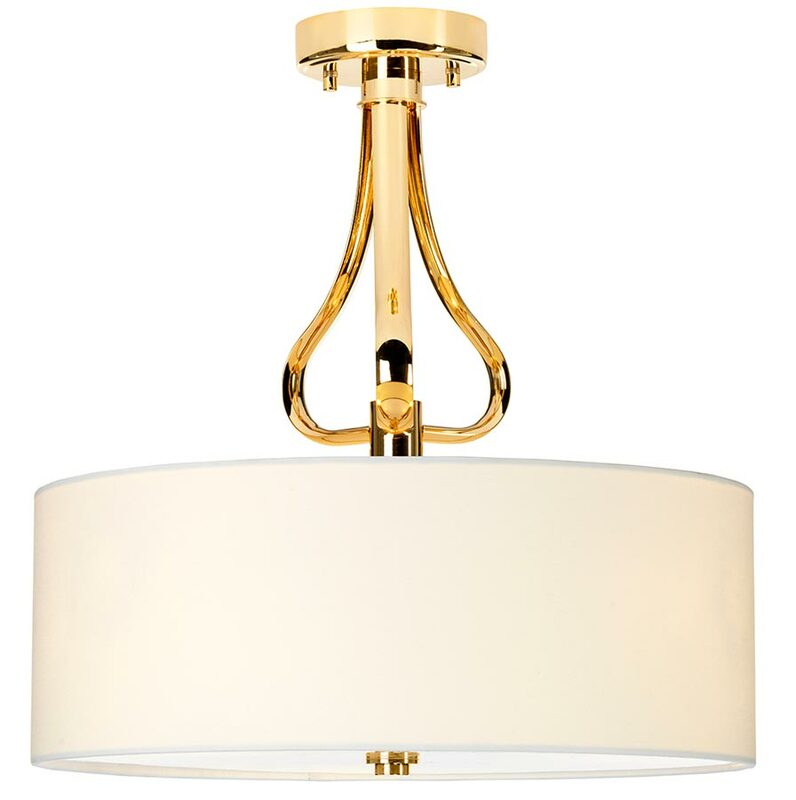 This Elstead Falmouth 3 LED French gold bathroom semi flush ceiling light with white shade is rated IP44. Boasting a circular ceiling mount, short drop rod and heart shaped brace, with a black fabric drum lamp shade and lower diffuser. 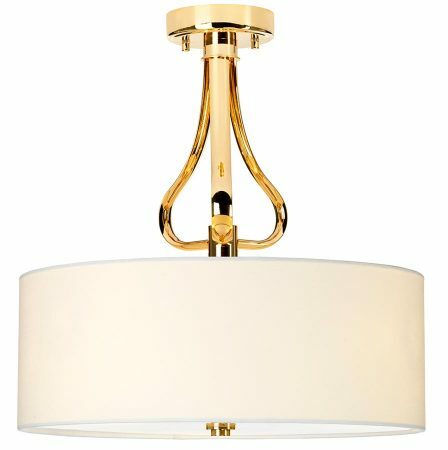 If you are searching for a quality ceiling light to complement your bathroom, this is certainly one to consider. The sleek lines are suitable for a contemporary setting, whilst the feminine style makes it suitable for traditional and period bathrooms too. Rated IP44 and suitable for zones 1 and 2. Specifically designed for use in bathrooms but can be used anywhere inside your home except wet rooms. There is a matching wall light available; please see below. This bathroom light is supplied by Elstead Lighting, a British company that specialises in the manufacture and distribution of quality decorative lighting such as the Falmouth 3 LED French gold bathroom semi flush ceiling light with white shade and rated IP44 you see here.